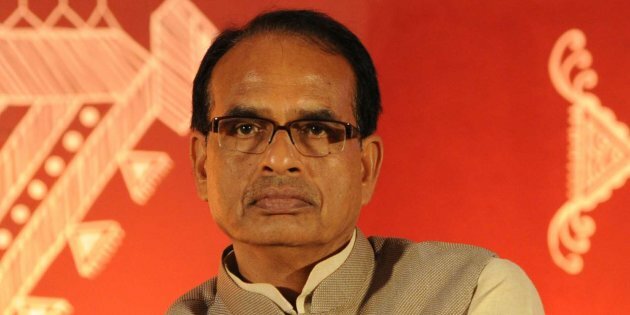 Bhopal (PTI): Questioning Madhya Pradesh Chief Minister Shivraj Singh Chouhan’s silence over the closure of Sardar Sarovar dam gates by the Gujarat government, Congress leader Ajay Singh today said the move would displace around 40,000 people in MP. He alleged that although the poll-bound Gujarat will benefit from the closure of the dam gates, the BJP-led government in Madhya Pradesh was ignoring the interests of its own people out of “political compulsions”. “The closure of Sardar Sarovar dam gates will displace over 40,000 people in 192 villages (in MP). There is no plan for their rehabilitation and in order to benefit that state (Gujarat), the interests of MP are being overlooked and Chief Minister Shivraj Singh Chouhan is silent on the matter because of political compulsions,” Singh told reporters here. “I myself visited a number of affected villages and found that an old woman was allotted just 12×12 room in the name of rehabilitation. She is a farmer, where will she keep her domestic animals and other basic necessities,” the Leader of Opposition in Madhya Pradesh Assembly asked. Fifty six years after the foundation stone for the Sardar Sarovar dam on the Narmada river was laid, the Gujarat government finally shut the gates of the controversy-hit dam on June 17 after it got permission from the Centre. Referring to the farmers suicides in the state, Singh claimed that as many as 53 cultivators have killed themselves in the last 24 days in the state, and raised a big question mark over the Krishi Karman awards that the state has been getting. Singh said he has written a letter to Prime Minister Narendra Modi highlighting the plight of farmers and demanding that a probe should be conducted to find out how the state has been getting the Krishi Karman award since the last few years. Krishi Karman awards are being given to states for achieving maximum food grain production in the country. The Congress leader also alleged that in order to register its name in the Guinness Book of World Records, the BJP-led state government is spending a huge amount by claiming to plant over six crore saplings on the banks of Narmada river as part of the Namami Devi Narmade programme tomorrow. Singh said the government should give records of the 50.63 crore saplings planted from 2005-06 to 2016-17 in the state. “Instead of providing relief to farmers, the state government is spending crores of rupees in ensuring that its name is registered in the Guinness Book,” Singh alleged. Referring to Madhya Pradesh minister Narottam Mishra, whose election from Datia seat was declared void by the Election Commission in a paid news case last week, Singh said the ruling BJP was unnecessarily protecting him. “Mishra won’t get any relief from any court, including the Supreme Court, on the issue as the law is very clear on the matter,” he added.